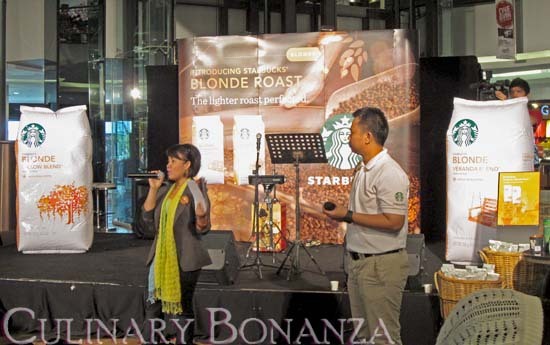 Starbucks Indonesia has recently launched its new roast spectrum, consisting nothing less than 12 roast variants! You are probably puzzled by such an exhaustive range of coffee, and wonder if there's a need for that. This actually shows Starbucks commitment and dedication to cater to every tastes and preferences, even for non-coffee drinkers. 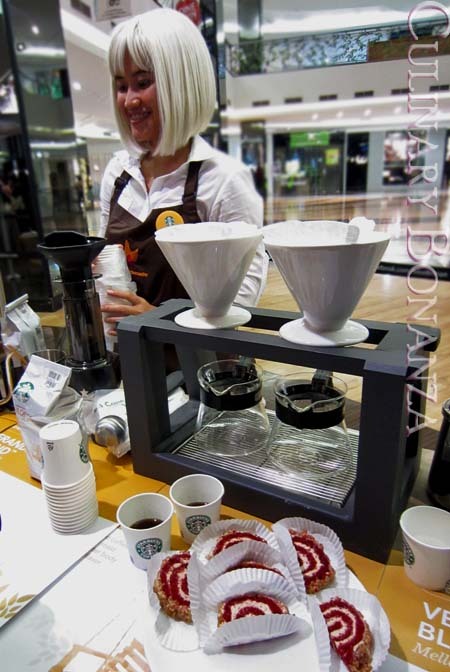 Starbucks Blonde Roast goes public! What is a Blonde Roast? It is a name for Starbucks' coffee beans that were processed within a shorter (than usual) roasting period, resulting in very mild & light coffee taste. A good starting point for new coffee drinkers, who can eventually go up the roast spectrum all the way to Medium and Dark blends (richer, stronger and more intense). 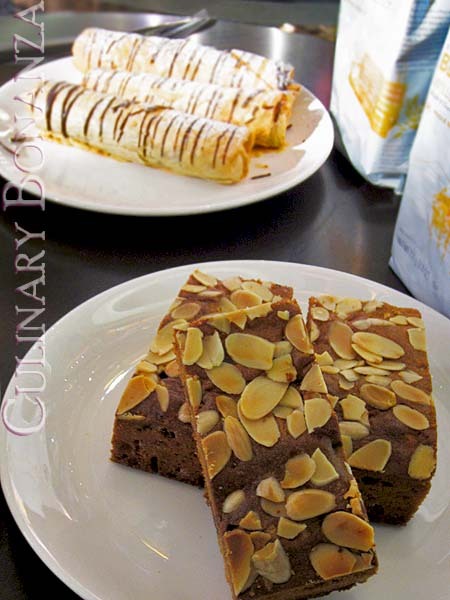 What I notice about the food served at the coffee stations this time is that 95% of them, are sweet. Some are rather overwhelmingly sweet unless consumed with Starbucks' unsweetened hot beverages. 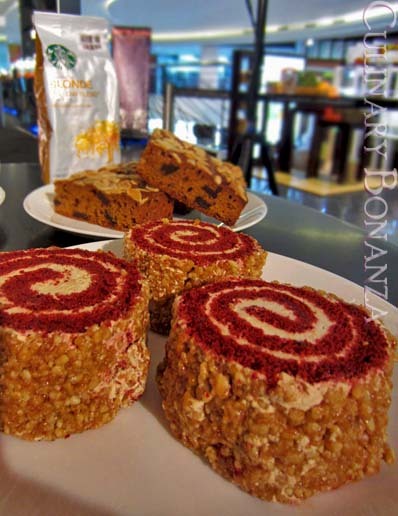 I'm not sure if this was done on purpose, but it surely worked well to make us try the coffee blends to moderate the sweet treats. For this spring, Starbucks has lined up 2 of its popular classics: Caramel Cream Coffee Jelly Frappuccino and Cocoa Cappuccino. I liked the coffee jelly, which wasn't too chewy and not too sweet. Just delish!